Owen Nichols has been Director of Marine Fisheries Research at the Center for Coastal Studies since 2008, where he conducts research in collaboration with Cape Cod fishermen and shellfish farmers. His primary interests include distributional ecology, fisheries oceanography, marine mammal/fishery interactions, and ecosystem-based fishery management. 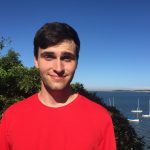 Owen is a Ph.D. candidate at the University of Massachusetts – Dartmouth (UMassD) School for Marine Science and Technology, and a guest investigator at the Woods Hole Oceanographic Institution. He holds a B.A. in Marine Affairs from the University of Rhode Island and a M.Sc. in Marine Science and Technology from UMassD. The recipient of many awards in his field, Owen is known for his ability to instill wonder and excite about the natural world in both kids and adults. Owen is a proud Cape Cod native. Lisa Sette has been working as a naturalist for over twenty-five years. Her love of the ocean began at the New England Aquarium, where she worked aboard their marine education boats as a deckhand and naturalist. After years of sea time and apprenticeship, she obtained a Near-Coastal 100 Ton United States Coast Guard License. Lisa completed a BA in Liberal Arts at SUNY New Paltz, and graduate course work in Natural Sciences through the Harvard ALM Program. Over the past decade Lisa has been a member of the Marine Animal Entanglement Response Team and director of seal research at the Center for Coastal Studies. She is also one of the founding members of the North Atlantic Seal Research Consortium (NASRC). Currently, Lisa is completing work in a project focused on seal diet in southeastern Massachusetts. Interfacing with scientists and people who make a living on the sea has instructed and inspired her. Lisa is most passionate about observing marine wildlife and loves to share the experience. She currently lives on Cape Cod. Laurie Snow, of Orleans, will be coming on as our Registrar in May. When you call the office, you will likely hear Laurie’s voice, if you don’t hear Abby’s. She can be reached at info@pbcb.cc. We are delighted to have her assistance, as she brings with her over 20 years of administrative experience for the Academy of Performing Arts in Orleans. Hello, my name is Ava Macchia. 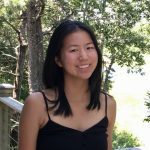 I am 17 years old, and a rising senior at Dana Hall School in Wellesley, MA. 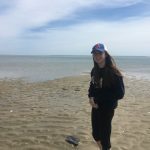 I live in Boston but for the past 15 years have spent the summers in Chatham. Sailing is my favorite hobby. I began sailing at Stage Harbor Yacht Club when I was age 7. I’ve sailed Sprites, 420s, BICs and Optis, and I’ve coached younger sailors. In addition to sailing, I love sports including snowboarding, surfing, and soccer. I’m looking at colleges now and hope to have a final decision within the next few months. I’m very much looking forward to instructing at PBCB! H ello, my name is Charlotte Seymour. I live in Baltimore, Maryland and have been living in Harwich Port for six summers. I have been sailing since I was ten years old. 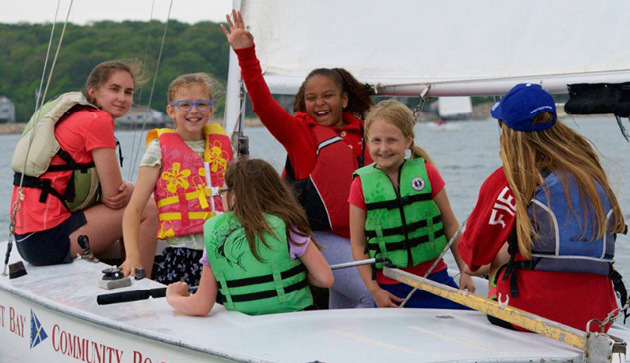 I learned to sail at a summer camp in Maine and then continued my instruction at PCBC. My favorite boats to sail are 420’s, but I also have experience with Sunfish and Flying Scots. 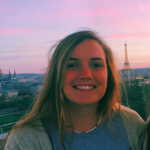 On top of sailing, my favorite activities are surfing, reading, and playing field hockey. Hi, I’m Liam Phelan. I am a senior computer science major over at the University of Rhode Island. I grew up in Chatham and was on the Chatham High School Sailing Team for four years. I have been sailing for thirteen years, with my roots starting with classes here at PBCB! Besides sailing I enjoy playing music, biking, and more. H i, my name is Eddie Goggin, I am a resident of Harwich, first began sailing in my families sunfish and Catboat when I was growing up. When I was 5, I began sailing lessons at West Dennis Yacht Club and always grew up loving the water and what it had to offer. When I was 8 I began racing regattas in Optis around Massachusetts. I moved up to racing 420’s a couple summers ago when I grew out of my Opti. I am currently a sophomore at Monomoy High School and this is my third year racing under Coach Kelly on Pleasant Bay. This will also be my third year coaching at PBCB where I continue to spread my knowledge and enthusiasm of and enthusiasm for sailing on the bay. Hi, my name is Kat. I am a washashore from California, but I have been living in Harwich for the better part of my life. I will be entering my junior year of highschool. I have been sailing in Manchester-By-The-Sea my whole life, and I am on the Monomoy High School sailing team. I love sailing 420s, Lasers, and Flying Scotts at PBCB. 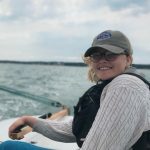 I am a new instructor and I’m incredibly excited to be able to teach sailing this summer! The sea is my favorite place to be. Hi, my name is Annie Lubin. I’m 17 years old and am entering my senior year at Concord Academy this fall where I am the captain of our very rambunctious sailing team! My love of sailing began when I was 8 years old, taking lessons at PBCB at Jack Knife Cove. I’ve sailed at different clubs on the Cape and learned how to race in Optis and 420s. I came back to PBCB three years ago to teach sailing in our Flying Scots. I still enjoy nurturing my competitive streak sailing with friends in summer regattas. When I’m not sailing, I love to play squash, make pottery, and read. Can’t wait see you on the water! Hi, my name is Izzy Maggioni. I am 17 years old and I will be entering my senior year of high school this fall at Wellesley High School. I first started sailing at Chatham Yacht Club (right across the bay from Pleasant Bay Community Boating !!) and I have been sailing since I was eight. I have enjoyed racing sailboats as well as teaching sailing in Beetlecats, Optis, 420s, and Flying Scots. When I am not sailing, I like to run cross country and track, bike, and walk my dog. This is my third year teaching at PBCB and I am looking forward to it! Hi! My name is Julia Royal, I am from Chatham. 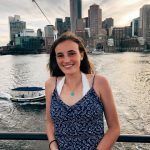 I am a rising senior at Proctor Academy, a boarding school in Andover, NH. I first started sailing when I was 7 years old, at Stage Harbor Yacht Club. I have sailed competitively in many regattas all over the Cape, first sailing Optis, and now 420’s. 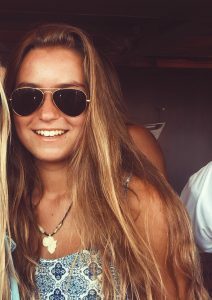 When I am not sailing, I enjoy playing lacrosse, going hiking and being with friends! I am so lucky to be able to teach others how fun, exciting and amazing sailing is, this summer at PBCB! 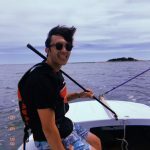 grew up on the waters of Cape Cod and began sailing at age 7 with Nameqouit Sailing Association learning to sail and race 420's. In middle school as a Cape Cod Sea Scout, I learned to sail a Bantry Bay Gig, a replica of a wooden French Longboat that is both rowed and sailed. In high school I was a member of the Nauset Sail Team. In 2010, I was chosen as a member of the US team for the Atlantic Challenge International, a contest of seamanship. I trained on a remote island off the coast of Maine before traveling to Ireland to represent the United States. This will be my third year as an instructor at PBCB and I enjoy sharing my love of sailing and teaching all ages and abilities. When I am not sailing I pursue my passion for art, education and physical fitness. Hi, my name is Matthew McCutcheon. 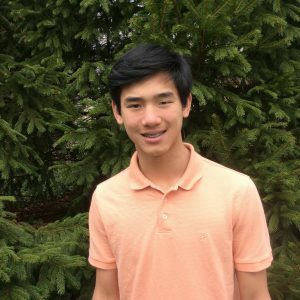 I am 17 years old and currently a senior at a small private school in Connecticut called Wooster School. I started sailing when I was 10 at Namequoit Sailing Association during the summer. By 13, I began taking racing classes at Namequoit. I have sailed in the Chatham Regatta for 4 years and have raced in smaller competitions as well. When I’m not sailing, I enjoy biking, surfing, scuba diving, and playing soccer. I am excited for my first summer at PBCB and cannot wait to start teaching others how truly amazing sailing can be! Hello I’m Noah Firmin and I attend Chatham High School. I will be entering my senior year of high school this fall. I have been sailing since I was 12 years old. I have been on the Chatham, and Monomoy sailing team for 3 years. Last summer I raced a J-24 in Lewis Bay at Hyannis Yacht Club every Wednesday night. I am on the Cape Challenge team, which is a sailing and rowing program on Cape Cod. I am looking forward to being an instructor at Pleasant Bay Community Boating this summer! Hi! My name is NoaNoa, I’m 19 years old and come from New Mexico. Despite growing up in the desert, I’ve been coming to Cape Cod to see my grandma since I was 2 and have been sailing ever since. I love going out on the water and teaching people all there is to know about sailing! Hello, my name is Dory Carlson. 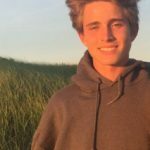 I am 15 years old and I’m currently a freshman at Nauset Regional High School, a public school here on Cape Cod, located in North Eastham, MA. I started sailing when I was about 6 years old. 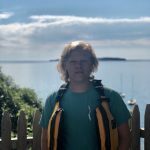 I sailed RS Visions, Sunfish, and catboats my first few years of sailing. My grandparents and my father taught me many things about sailing, and it soon became a passion of mine. About five years after I started sailing, I sailed a 420 for the first time at Namequoit Sailing Association. The 420’s were pretty fast, so it was a great new experience for me. In the summer of 2016, I sailed at Pleasant Bay Community Boating with some of my friends. Here at Pleasant Bay, I learned some finer points of sailing to add onto what I already knew, and some racing techniques. It was a blast at PBCB. In fact, it was one of my best memories during that summer. Now, I sail on my high school’s sailing team to further learn about racing and extend my time on the water. Now that I am an instructor, I can’t wait to teach other new sailors the greatness of sailing. I hope the people I teach recognize how much fun sailing is and remember their time at PBCB. Hi, My name is Thomas and I live and go to high school in Holliston Massachusetts. I’m 16 years old and will be going into my junior year at HHS. I have been sailing flying Scots with my Dad and my Grandpa for as long as I can remember and I love being able to share my passion for the boat with everyone at PBCB. 2018 be my first summer here as an instructor here and I look forward to many more years! Hi my name is Caitlin FitzMaurice. This is my first year at PBCB, but I have been sailing since I was six. I live in Chatham for the summer and for the rest of the year I live in Wellesley, Massachusetts. I learned to sail at Chatham Yacht Club across the bay, and am currently racing 420’s there. I love teaching kids how to sail and it is a great opportunity! When not sailing, I ski race, play soccer and crew, and listen to music. I’m very excited for a great summer of sailing! Hi, my name is Adam Alto. I am 15 years old and entering my Sophomore year at the Belmont Hill School. I have been sailing since I was seven in a variety of places, starting out in Boston, where I live during the year. I enjoy teaching sailing in Flying Scotts and leisurely trips around Pleasant Bay. When I am not sailing, I like to hang out on the beach, play baseball, sleep, and play video games. I am looking forward to my first year here at Pleasant Bay! "Our dedicated staff, instructors, and volunteers know the ropes and work hard to provide smooth sailing for all."